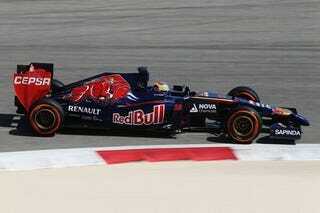 Tomorrow starts the final session of Formula 1 testing before the first race in Australia for the 2014 season. The last two sessions have been dominated by one story and really one story alone, the continued failures of the Renault powered cars. With this, the current reigning World Champion's Infiniti RedBull, seem to be up a creek without a paddle. They haven't completed nearly enough laps during the last two sessions with both of their drivers combined to make any real headway with the new RB10. This is largely due to the fact that Renault won't allow them to actually run the cars at full throttle due to crankshaft vibration issues. This session is key for them, if they can't figure out and tame the gremlins that they have been battling, I think they will ask for an extension based of mechanical life expectancy, and being that almost half the grid run these powertrains, and I feel like it would be a good bet that they get the extension. The second story that you should all be following, besides all my cool stuff, are the boys at McLaren. Button and Magnussen right now seem to be fighting to see who becomes the Vettel in their relationship. Magnussen is showing great promise and continues to get better and better. While Button not going down without a fight showed the rookie how it's done in the last session. This will be a great rivalry to watch not just in testing but throughout the season. Other places to watch will be the dynamic between Raikkonen and Alonso to see who becomes second fiddle at Ferrari. We all know that neither of these drivers will accept a secondary position, this I feel won't become truly evident until Australia. It will be interesting to see if they go toe to toe though in test session times trying to one up each other. Now many people are saying that the cars are slower and they won't be as good as last year, and all other forms of nonsense. Including what the cars are running right now is in no way what they will be running this season. This is partially true. The cars up to this point haven't been running at full race pace. Mercedes did attempt a qualifying lap with Rosberg and managed to pull in only a second behind last season's qualifying pole position, held by Rosberg, but they even stated they weren't giving it the full beans. That means that they are within a real chance of tying that time that they set last season. This is good for us fans, because that means the cars, so far are just as quick or on par to being just as quick as last season. They also aren't running as much downforce as they were last season. Meaning they will be a bit slower through the turns, however that lack of downforce means that they will be faster through the straights possibly giving us more position switching throughout the race. This is good. Now I understand that there are still many factors coming into this next test session that need to be worked out and that nothing is set in stone, but just from the timing sheets so far, I have a feeling this is going to be a good season, so long as Renault can fix their cars! Stay tuned tomorrow starting at 5am CST for the first test day of the second session! And check out my new series Sittin, Waitin, Wishin, this is the second article in the series!